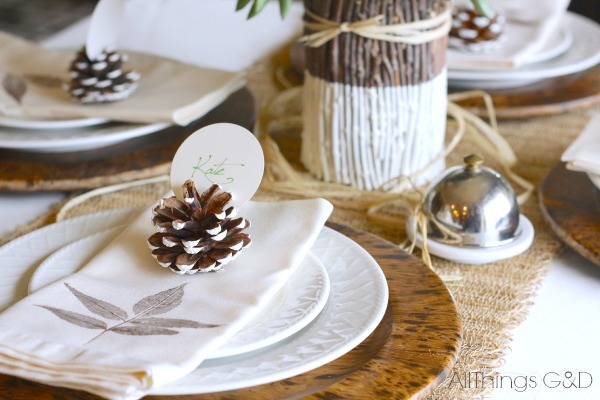 With all of the blog time handmade ornaments have been getting around here lately you may think I’d totally forgotten Thanksgiving comes before Christmas. 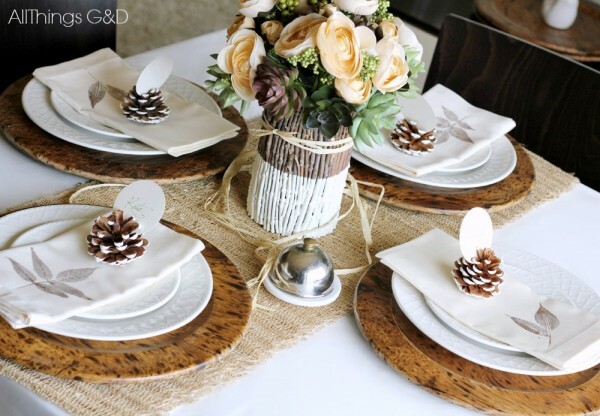 I’m still savoring up these final moments of what is still technically fall, and pulling together some of my favorite crafts pulled from nature to create an easy fall tablescape – the perfect touches for a Thanksgiving meal this Thursday! 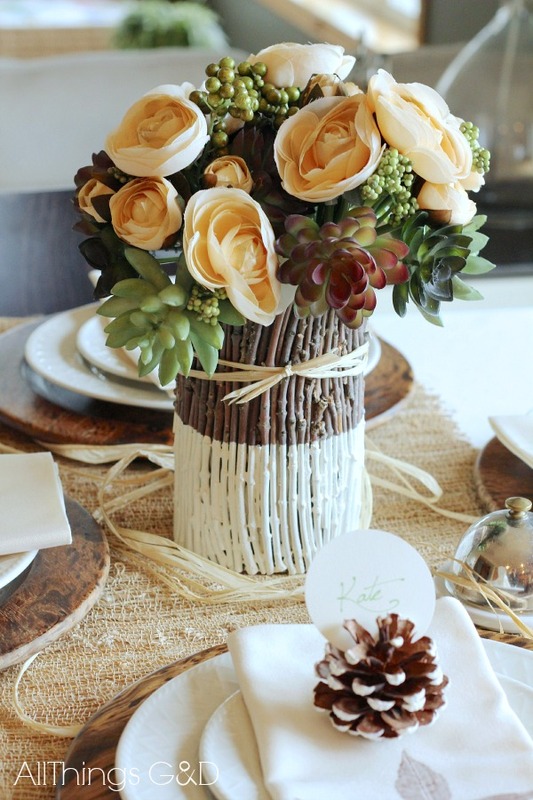 This DIY painted twig vase tied with raffia and filled with roses and succulents makes the perfect fall centerpiece. 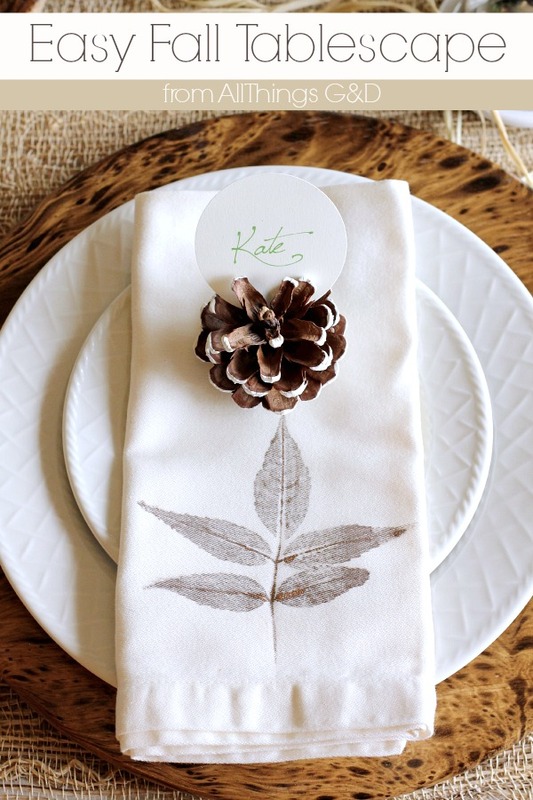 A loosely woven table runner topped with a raffia goes great with the natural table decor. 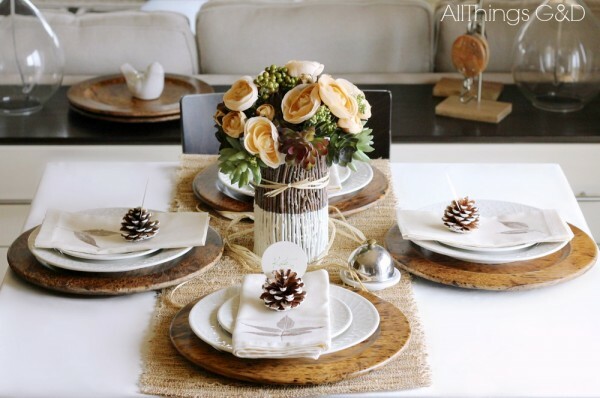 Visit the All Things G&D Holiday Gallery to see more holiday related projects and tablescapes!